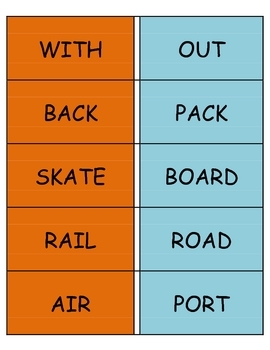 These are compound word cards for a literacy box. They are color coded with the first word orange, and the second word teal. 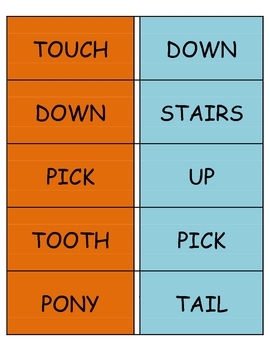 Print them, laminate them and cut them to place inside a literacy box. 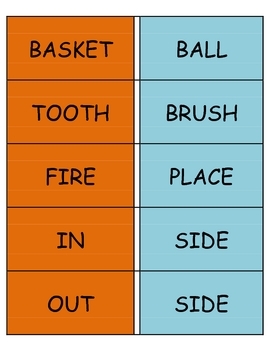 Students will take the cards and find matches to make real compound words. 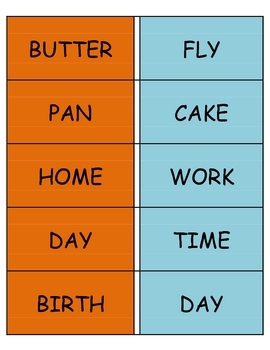 Students can record the words they find on the word compound worksheet, found in my store.